Wat Pho, also known as the Temple of the Reclining Buddha, is one of Bangkok's well-known attractions. The temple complex, a restoration of an old one originally built on the site, is one of the oldest and largest in Thailand, covering an area of about 80,000 square meters, having been built in 1788. The complex is composed of a monastery where monks reside, a school, several shrines, and 91 stupas, mounds that contain Buddhist relics. 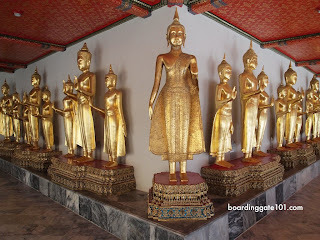 The smaller ones contain the ashes of the Royal family, while the large ones contain the ashes of Buddha. There is also a cloister that contain a large number of images of Buddha. 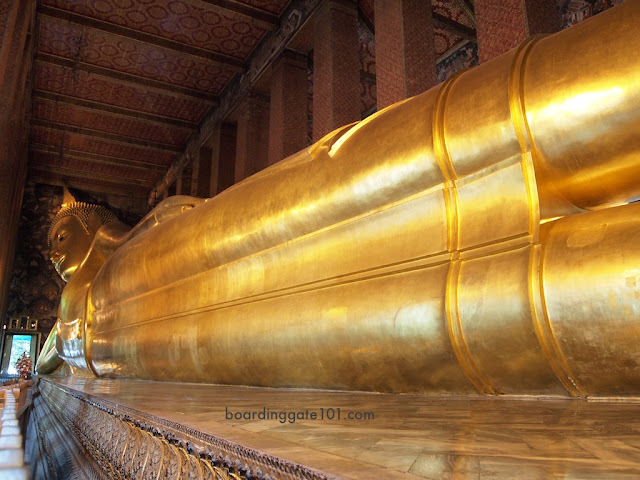 The main centerpiece of the temple, of course, is the Reclining Buddha. The statue is 43 meters long and 15 meters high. The feet - four and a half meters long - are inlaid with mother of pearl and decorated with symbols. 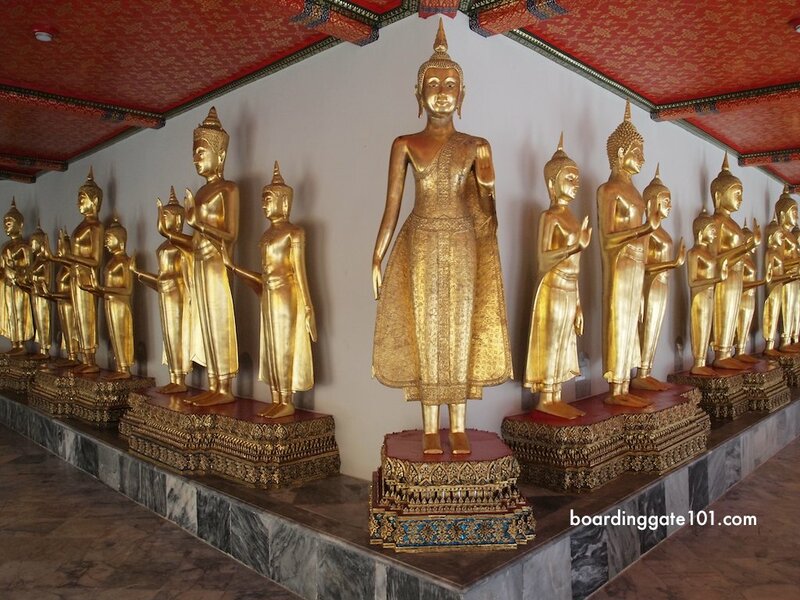 Along the hall where the statue is are 108 bronze bowls, representing the auspicious characters of the Buddha. People drop coins on the bowls to bring good luck. Also in the complex is a school for massages. It is said that the temple was the birthplace of the traditional Thai massage. The temple complex is located in Phra Nakhon, in the Rattanakosin district of Bangkok. From the Saphan Thaksin BTS station, take the Chao Praya Express boat then get off Tha Tien station. Go through Thai Wang Rd to get to the temple. Be mindful of the scammers near the entrances. 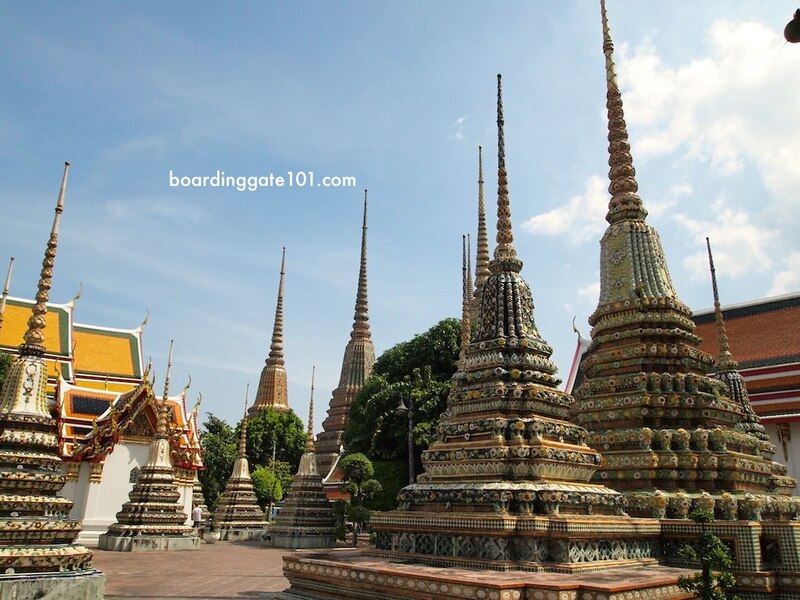 The Grand Palace is just next door, so you may visit both landmarks in one go. 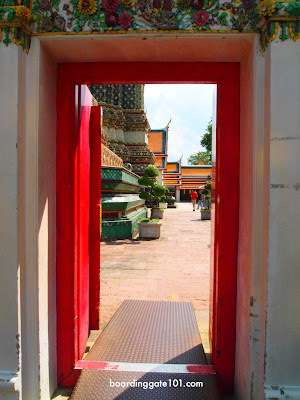 Tha Tien station is also where you take the boat to Wat Arun (Temple of Dawn).